BNP Paribas Asset Management has appointed three senior analysts to its Quant Research Group (‘QRG'). Boris Afanasiev, Benoît Bellone and Frédéric Abergel have joined the QRG Research Lab as senior quantitative analysts and will report to Thomas Heckel and François Soupé, co-heads of QRG. Boris is based in London, and Benoît and Frédéric are based in Paris. Boris, Benoît and Frédéric will work across all asset classes, undertaking strategic research and using their connections within the academic world where appropriate. Boris Afanasiev, who has considerable expertise in researching systematic futures markets trading, joins from StatQuant Consulting, where he was managing director, having previously been CIO and founding partner of Asset Algo Advisory. Prior to this, he was a senior quantitative researcher at AQR Capital Management and head of commodities research at Winton Capital Management. Benoît Bellone joins from HSBC Global Asset Management where he was head of Multi-Asset Research, designing and managing multi-asset factor and global macro absolute return strategies. Previously he was an economist at the OECD and the French Ministry of Finance. Frédéric Abergel arrives to BNP Paribas from Centrale Supélec, where he was director of the Chair of Quantitative Finance, researching electronic markets and high frequency finance for 11 years. Prior to this, he spent 11 years in quantitative research roles in investment banking at Natixis, Barclays Capital, CAI Cheuvreux and BNP Paribas. The latest appointments represent a significant development in BNPP AM's quantitative ambitions, including augmenting its fundamental investment processes with quantitative inputs, developing new proprietary ‘quantamental' portfolio construction techniques and ensuring the continued competitiveness of its factor investing approach through innovative enhancements. 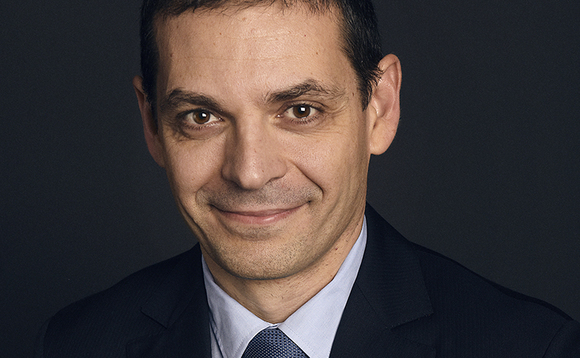 The QRG forms part of BNPP AM's Products & Strategic Marketing division, led by Pierre Moulin. It was established in 2017 in order to centralise BNPP AM's quantitative research capabilities and now consists of around 30 experts in quantitative investment. The centralisation of resources has enabled BNPP AM to expand its expertise to cover new data-sets and develop innovative advanced quantitative approaches. Pierre Moulin, Global Head of Products & Strategic Marketing at BNP Paribas Asset Management, comments: "The creation of a stronger, more collaborative and more efficient quantitative research platform will enable us to remain at the forefront of quantitative research, and the addition of such highly experienced analysts as Boris, Benoît and Frédéric to the team will be instrumental in helping us to achieve our ambitions. I am very pleased to welcome them to BNP Paribas Asset Management."